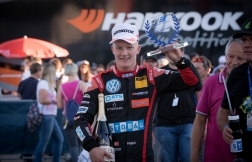 Swiss racing driver Fabio Scherer will continue his push for more podiums and points as the FIA Formula 3 European Championship resumes at Silverstone in Great Britain this weekend (16-19 August). Having scored a career-best P2 last time out at Spa-Francorchamps in Belgium, Fabio now has a taste for glory and has set his sights on coming away from Silverstone with another big haul of points. “It’s going to be so cool to race at this track,” the 19-year-old said. “It’s the first time I’ve ever raced in Britain, which is surprising because so much motorsport is based there. 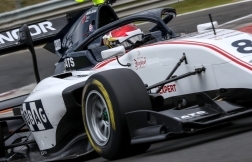 Fabio will be competing on Silverstone’s full grand prix track, which is 5.90km in length and includes classic high-speed corners such as Copse and Stowe, as well as the challenging Maggots-Becketts-Chapel complex. 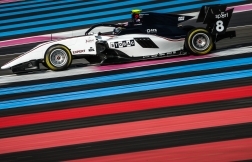 Fabio’s Volkswagen-powered Dallara will run a high-downforce aerodynamic set-up to maximise grip through the circuit’s 18 corners. There’s also the threat of unpredictable British weather, although Fabio said that could enable him to drive more aggressively during the three races without having to be concerned about tyre wear. With a maximum of 75 points on offer at each of the remaining five race weekends, Fabio is confident he can move up the points standings. 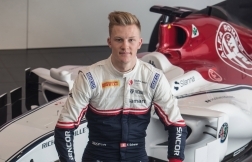 He is currently P12 in the drivers’ championship and P6 in the standings for rookie competitors, and is the only driver to have scored points in each of the last five races. “Nothing is lost in this championship because the racing is so close and there have been so many different race winners so far this year. My objective is to continue to make progress and I think I can still be quite high in the championship by the end of the season,” he said. After free practice and qualifying on Friday at Silverstone, Fabio will contest two F3 races on Saturday and one on Sunday.